The pollution in mid-Michigan has taken longer to address than the clean-up of Love Canal or Times Beach. The EPA and Dow Chemical say they are finalizing an agreement over the cleanup. That agreement and findings about dioxin will likely have big implications for other clean-ups around the country. Reporter Shawn Allee investigates Dow Chemical and the dioxin contamination in mid-Michigan. Central Michigan has lived with toxic dioxin pollution in two major rivers and Saginaw Bay for decades. Shawn looks at who's been affected, why it's taken so long to clean up, how the science behind dioxin has played into this, and what the cleanup means for the rest of the country. Shawn Allee looks at a dioxin and soil study and how the science might influence other clean-ups around the country. 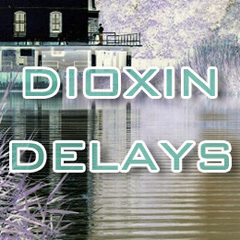 Shawn Allee finds old dioxin pollution from a Dow chemical plant poses a health risk today. Shawn Allee talks with residents about living with Dow and dioxin. Residents are asking why it's taken so long to clean up the dioxin. Shawn Allee looks for an answer. Shawn Allee meets a man who took the Dow and dioxin issue to Congress years ago and is shocked it hasn't been dealt with.